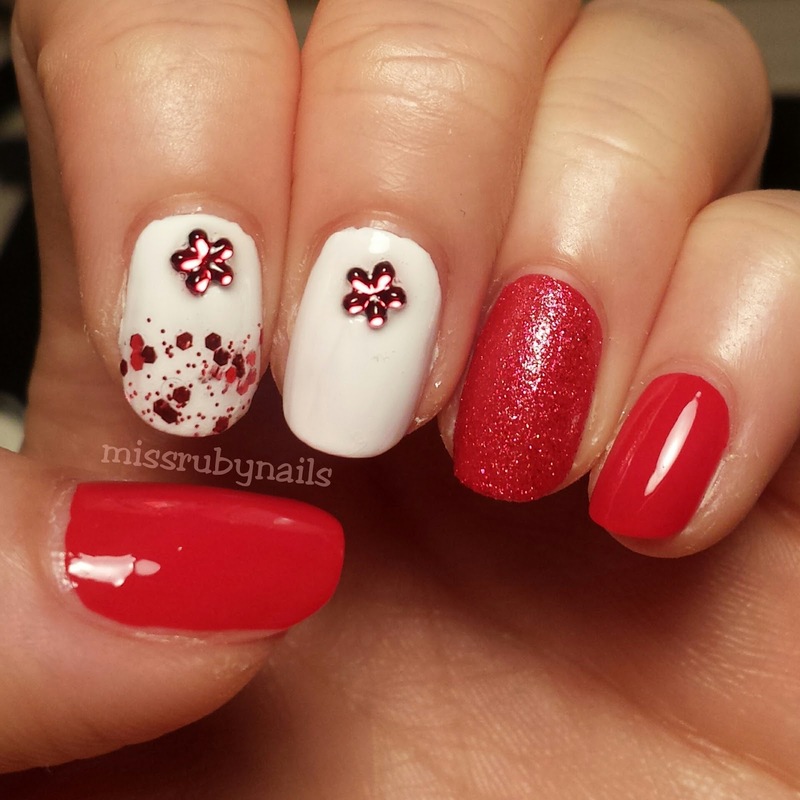 Miss Ruby Nails: July 1st & 4th Holiday Nails! 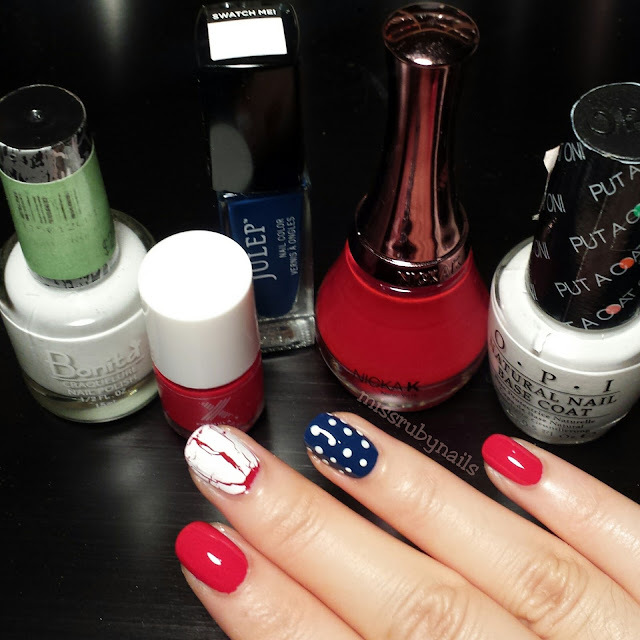 These 2 festive manicures were done to celebrate Canada Day and USA's Independence Day! They were really simple and were done using the colors resembling the nations' flag. For the Red/White/Blue nails, I did a red base on most of the nails. I then used a white crackle polish to layer on top of the middle nail and thumb. 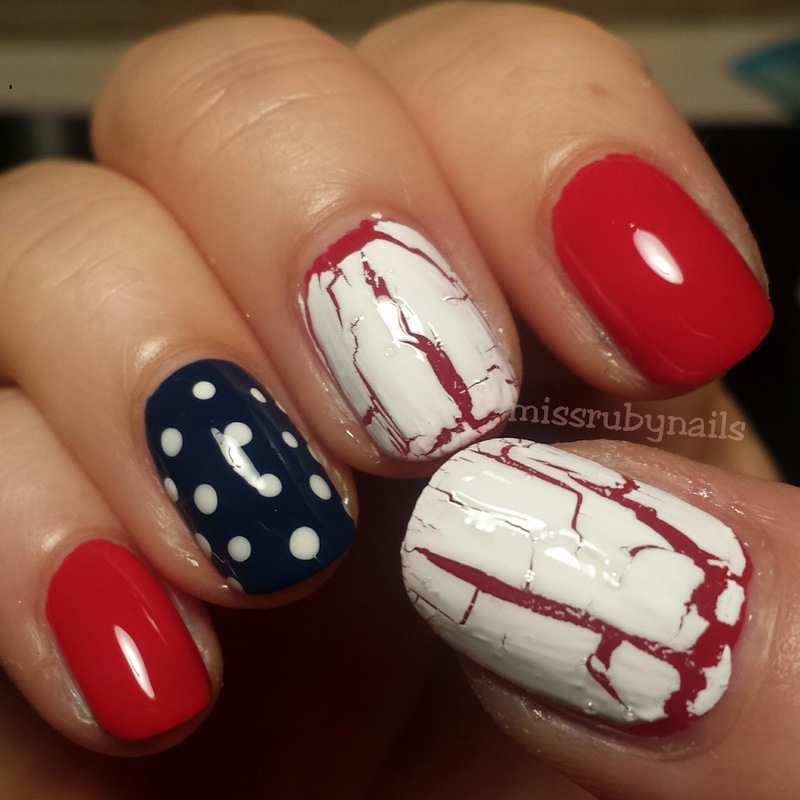 I haven't seen crackle polish being used too much lately, maybe it has gone out of the trend!? Haha. I then dotted some white polka dots on the dark blue accent nail as the stars and we are done! For the Canadian set of nails, it was even easier with only 2 colors - red and white. 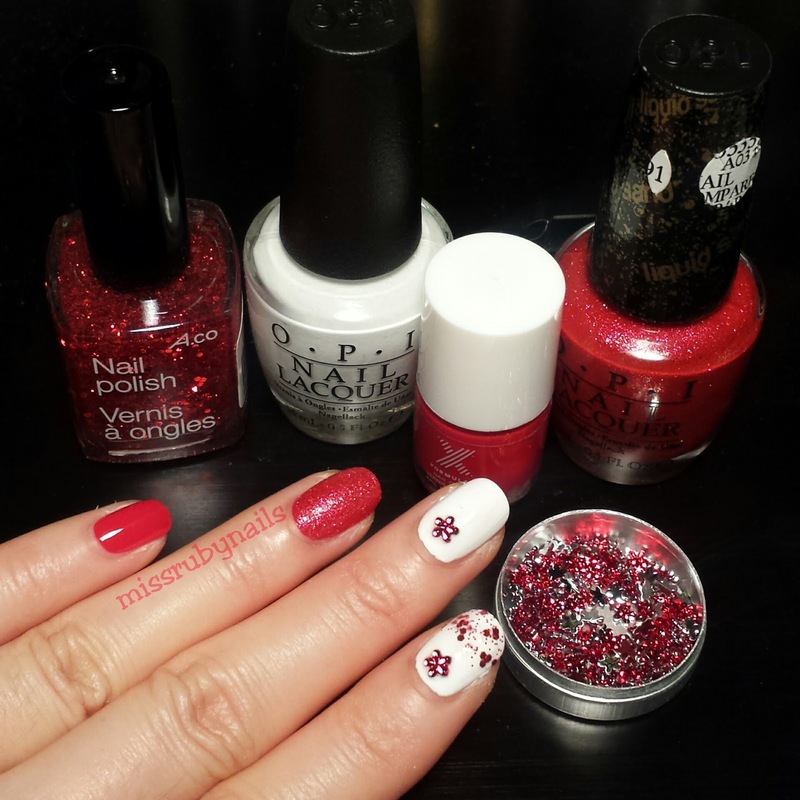 I put a red floral jewel on each of the second and third nails as the "maple leaves" and I also used a textured red glitter on the 4th finger to add a little something to the set.